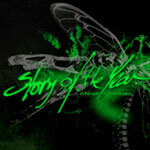 Story Of The Year Biography, Discography, Music News on 100 XR - The Net's #1 Rock Station!!! 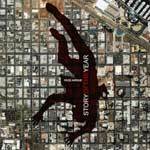 The origin of this Alternative-Rock St. Louis, Missouri USA-based quintet, can be traced back to 1995, but Story Of The Year solidified its line-up nearly five years later with vocalist Dan Marsala, guitarist Ryan Phillips, bassist Adam Russell, second guitarist Philip Sneed and drummer Josh Wills. 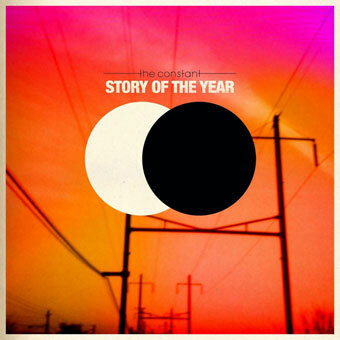 They recorded a self-titled EP in 2000 and set out to create a fan base. 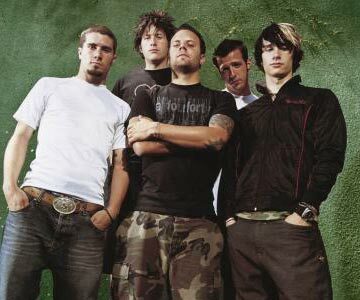 The band inked a deal with Maverick Records and in September of 2003 released their debut full-length disc, "Page Avenue"; the album reached the #51 spot on The Billboard Top 200 chart and spawned three Modern Rock hit single tracks: "Until The Day I Die" peaked at #12, "Sidewalks" reached the #40 position and "Anthem Of Our Dying Day" crawled up into the top 10. 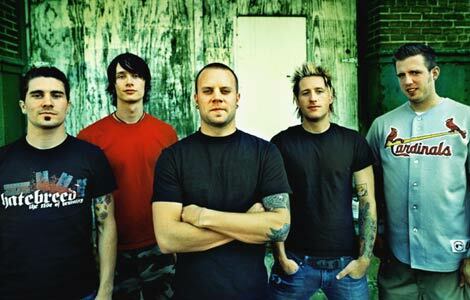 Released in October 2005, the band's second effort, "In The Wake Of Determination" who's "We Don't Care Anymore" barely sneaked into the top 30 of The Modern Rock Tracks, hit #19 on The Billboard 200 Albums chart. 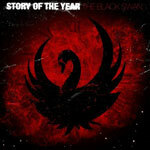 Story Of The Year's highly anticipated third album and Epitaph Records debut , "The Black Swan" was released in April 2008; though the first single off the disc, "Wake Up", failed to make an impression on the charts, the album climbed into the top 20 of The Billboard 200 and hit #3 on the U.S. Top Independent Albums chart. The group's next record, "The Constant", followed in February 2010.